If you *don’t* have an allergic child, or an allergy yourself, you may not know why allergies can be life threatening, or why it is not being “over-protective” to ensure your child has their epi pen with them at all times. This post, from the brilliant medic The Allergist Mom not only explains it in simple, but medically correct terms, she also draws pictures. It is great. Read it. That is all. For many parents, a suspected but undiagnosed food allergy can be a source of huge stress and uncertainty. We had tried elimination of certain foods to try and help small boy’s eczema, but it wasn’t until the terrifying reaction to a peanut that we even considered food allergies. Amongst other things, small boy is allergic to dairy, or specifically cow’s milk protein. He was breastfed as a baby, but was a champion vomiter from day 1. When I used to give him cow’s milk after he turned one, and he continually vomited it on his own head, I just thought that was normal- he was my first (so I didn’t know any better) and he was a sicky baby. With hindsight, of course, I was filling him with something he was allergic to and that’s why he was sick. But what if you do suspect your child has an allergy, specifically to cow’s milk protein, which is hard to avoid in the early years? Cows’ milk protein allergy is actually the most common childhood food allergy, affecting between 2-7% of babies under one year of age. With a wide variety of symptoms, many of which can be similar to other conditions, having a child with cows’ milk protein allergy can be very worrying for parents. Allergy UK, the national organisation supporting people with allergies in the UK, is running a survey to share the experiences of parents or carers who have a baby with cows’ milk protein allergy, or suspect their baby may have the condition. The survey asks 30 questions (although some are quite long) about your experiences with a cow’s milk protein allergy, or suspected allergy, and if you complete the survey you could be in with a chance to win one of 30 £30 vouchers from Mamas & Papas. The survey is available from http://www.allergyuk.org/news_cowsmilksurvey.aspx. AllergyUK have also partnered with infant nutrition brand Aptamil (who produce a formula suitable for allergic babies) for to create a range of actually helpful resources to help support parents and help them to understand this condition http://www.aptamil.co.uk/allergies. If your child does have an allergy, or you suspect as much, do go and see your healthcare provider, because managing the nutritional needs of your small child can be difficult and you need to demand all the help and support you can get. Small boy was 3 when his allergies were diagnosed, and he is also allergic to soya, so has to make do with rice and oats milks. Fortunately, the growing awareness means that alternative milks are more readily available than they once were. I may have previously mentioned that I have been invited to judge some of the categories in this year’s Free From Food Awards. Judging day is getting closer, my train ticket is booked and my tastebuds are at the ready. I am sure all the entrants in all the categories will be fantastic, but I asked the Free From Food Awards HQ for an update on why this year’s awards are going to be the best EVER. Still, the most popular judging category still remains the alcoholic variety, where judges can even sample some Free From nettle beer. If you have allergies, you will know that it is difficult to eat out. However, when you have spoken to the eatery in question and have been assured that your allergies can be catered for, to be told 15 minutes before your booking that actually, they can’t is a bit off. But that is exactly what the Ramada Penns Hall Hotel, Sutton Coldfield did to me yesterday. The event was a pantomine and dine, a three course carvery followed by a pantomime. Together with some other mums from my children’s school, we arranged to go. I did the organising and spoke to the events team before booking to ask if I could bring my own food for my son. I was told that this wasn’t usual and if I did this under no circumstances would I expect to pay any less for no food than for someone having three courses. This was, of course, discriminatory against allergy sufferers, but I was advised that the kitchen would be able to accommodate our needs on the day. I then rang up to book- the final number of attendees was 22. Again I was advised that the kitchen would be able to accommodate my son’s allergies. So, six weeks later, the day of the meal arrived. Everything was paid four weeks in advance, but having a sixth sense about this, I rang the hotel as we were on our way just to check 100% that the allergy friendly food would be available. There was some discussion on the phone before they advised us that actually, they could not guarantee anything leaving the kitchen would be nut free. At 12.45pm before a 1pm booking. I went home to take a packed lunch for my son- we couldn’t let everyone down at that late point- but I was angry. My son rarely gets to feel ‘normal’ and to be dumped back into his allergy box at this late stage was soul-destroying. If they had advised me at the time of booking I could have prepared him and made alternative arrangements. Perhaps we would not have booked, which is presumably why they did not tell me then- why lose 22 people’s bookings when you can just ruin one small boy’s day and charge him £11 for some hot water. The Ramada Sutton Coldfield Hotel, run by BDL Hotels Ltd will not be getting my custom again, and I will be investigating whether I can challenge their refusal to cater for, or offer alternative prices for allergy sufferers under anti-discriminatory legislation. It’s Christmas and allergy-sufferers like Christmas too. This year I decided to make small boy a trifle. Jelly and raspberries are not a problem, but trifle sponges are. However, I discovered we could use the bun part of an iced bun, which is kind of a sweet bread, and that worked fine. If you are avoiding gluten, try some plain gluten-free cake. Small boy does not like cream, but you could add soy cream or oat cram on top. And hundreds and thousands of course! I know this isn’t strictly allergy related, but as many people with allergies also have eczema, hopefully this post will be of use. We have tried EVERY cream for eczema on the market, and some that aren’t. Doublebase, Diprobase, E45, Hydrocortisone cream, Eumovate, you name it. The best success we had was with a new cream called Altoderm, which is not currently available as we were only able to get it as part of a medical trial. We also tried ‘home made’ (not by us!) concoctions containing herbs and essences and chickweed. We even tried a special unguent prepared in-house by St Thomas’ hospital allergy/eczema specialists. He was allergic to it. For a long time, the only cream his skin would tolerate was Hydromol, a vaseline-like cream that was a barrier cream, preventing his skin losing moisture but not adding it. It also coated everything, hands, pyjamas, school clothes, in a thick layer of gel. That didn’t even come off in the washing machine. But a chance remark led us tp the current wonder cream that has changed our lives, and those of a small itchy boy, immeasurably. It is called Aveeno and is made (at least partly) from oats. It is a gentle cream that adds moisture to his skin, and the difference is immense. Parents come up to me at the school gates to remark on how much better his skin looks and he is much happier and less itchy. Although a branded product, Aveeno is available of prescription, and if you are struggling with eczema, I urge you to try it- what have you got to lose, and the payoff is immense. Small boy has multiple food allergies and eczema, but thankfully does not seem to have any contact allergies- apart from one. Washing powder. We only discovered this fact when our car broke down and we were unable to get to the supermarket to buy our normal non-bio. We did, however, have some allergy friendly washing products that had been sent to us for review by our lovely friends over at Mums The Boss (you can read the review here). So we used Alma Win for an extended period while the car was out of action. It was only once the car was back on the road and we switched back to the normal non-Bio that we noticed small boy’s constant rash and itching had returned. We also noticed that if we visited friends or relatives, where he rubbed against fabrics or even toys that had been washed, his skin would come out in a contact rash. The laundry detergent was definitely to blame! 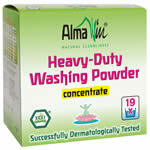 Alma Win provide environmentally friendly organic laundry, dishwashing and cleaning products that can be tolerated by the skin and are in harmony with man and nature. They are also the only laundry product that has been successfully dermatologically tested. DS Gluten-Free Breadsticks – you can’t tell the difference! I am always looking for new products for small boy, particularly things that can be carried around for picnics, birthday parties (as he always has to bring his own food) or just for little snacks. So when Dietary Specials asked me to try some of their new breadsticks, I was delighted, as I am a closet breadstick fan*. Now normally gluten or wheat free products can be, well, a little lacking. They may taste lovely, but sometimes don’t taste like the things they are supposed to taste like. I have a theory that those with wheat or gluten allergies just get used to things never tasting like they used to. However, I have to say that these bread sticks are completely and utterly yummy and you honestly cannot tell the difference between the two. I wanted to set up a ‘Breadstick Challenge’ (like the famous cola one of the eighties) and give people an ordinary breadstick and a DS gluten-free breadstick, but my neighbours think I am strange enough, so I decided not to. However, any family members who have popped round this weekend have all been accosted with some breadsticks and everyone agrees. No family member was damaged in the making of this blog post. On a slightly more serious note, Lovely Dad wanted me to add that, if you are having a party and there is a child with allergies coming, maybe you could get these instead of normal breadsticks- if no-one can tell the difference then if you remove the box, the poor allergy child won’t feel singled out with ‘special’ foods. Just a thought. 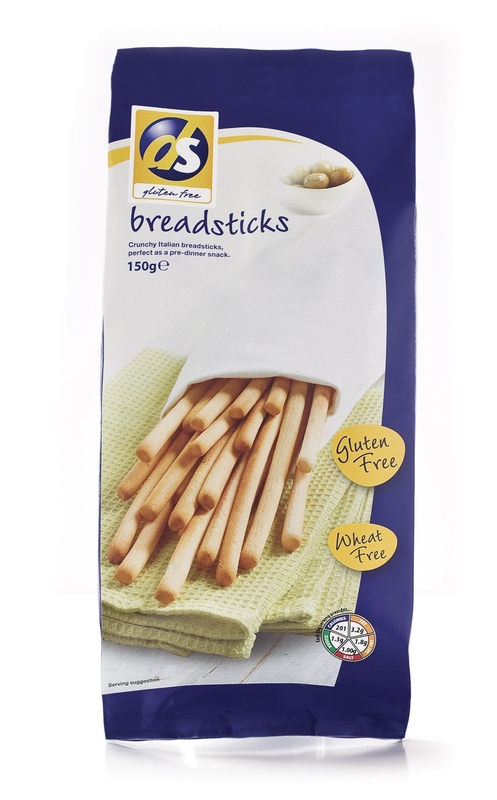 The DS gluten free breadsticks contain: Potato Starch, Rice Flour, Modified Maize Starch, Yeast, Buckwheat Flour (3.4%), Vegetable Fat, Glucose-Fructose Syrup, Sugar, Salt, Thickener: (Hydroxypropyl Methyl Cellulose), Emulsifier: (Mono- and Diacetyl Tartaric Acid Esters of Mono- and Diglycerides of Fatty Acids), Raising Agent: (Ammonium Hydrogen Carbonate), Natural Flavourings. They can be purchased from all good ASDA stores. 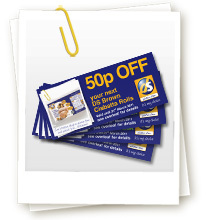 If you *are* interested in purchasing some breadsticks, or any of the other DS products, you might want to sign up to their mailing list as they pay reward you in vouchers for doing so. Just click here to go to the sign up form. *I have not actually been banned from my local Italian restaurant for eating too many breadsticks. But only because they are desperate. Note: Dietary Specials have not paid me for this post. Although they did send me some breadsticks. But I can’t pay the mortgage with breadsticks so I still maintain this is an unpaid post. If anyone knows that I can, actually, pay my mortage with breadsticks, please let me know immediately. Thanks. Last week I went to see small boy’s headteacher. Not because he was in trouble, but because I was. Stricly speaking I had done nothing wrong, but I was cross. You see, I had just received a letter from school advising me that small boy’s attendance at school was unsatisfactory, at 91.4% was below the required 94% which meant his education would be affected and could we “work with the school to improve his attendance”. I was gobsmacked. He has only ever been off school for medical reasons, be it specialist appointments in London, allergic reactions or a particularly virulent attack of impetigo. Which was contagious. I asked the school what I was supposed to do? I pointed out that when he was off with impetigo I went in to school to ask for some books for him. 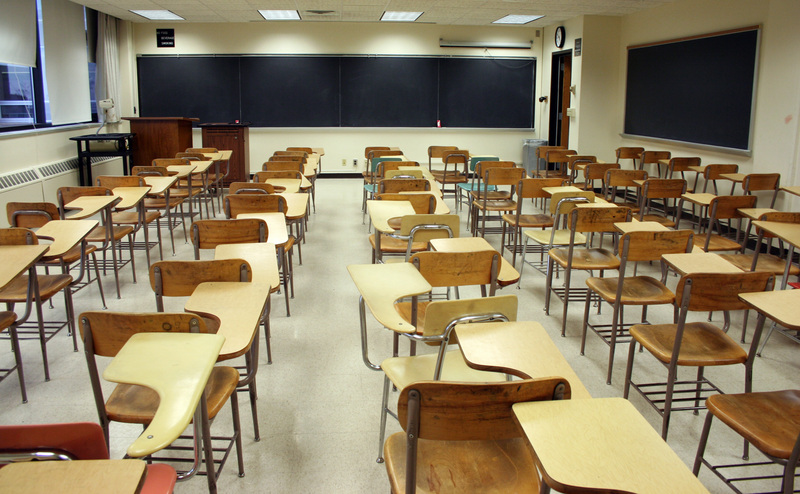 He is not struggling, in fact quite the opposite, and I resented the implication that there is anything I could do to ‘improve his attendance’. Never before has it been more obvious that the head has no children of her own, much less one with a health condition. I was fobbed off with platitudes. I am still cross.